Mrs Maria Culesov, the director of the Regional Development Agency South; Mr Ion Groza, the Cahul District president and Mr Alexandru Bondari, the mayor of Lebedenco commune, recently signed a new contract for the acquisition of works of 20,488,468.54 MDL with the consortium led by "Polimer Gaz Conducte" LLC. 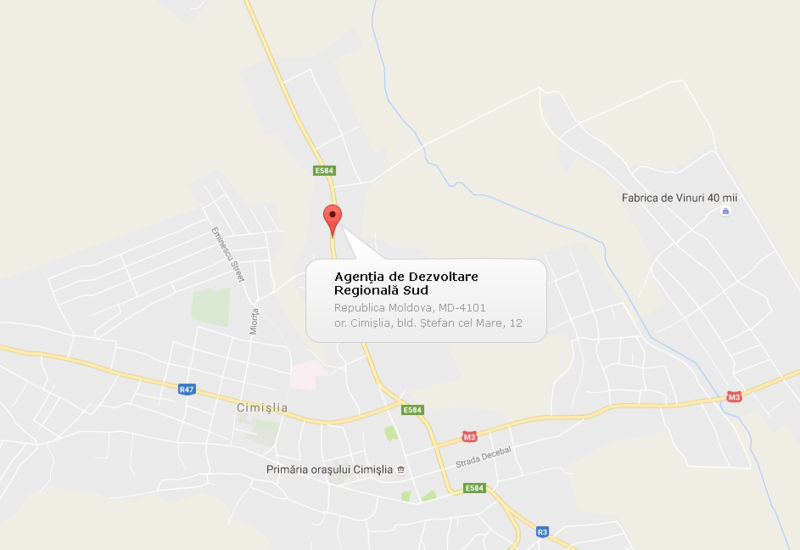 The signed contract provides construction of the Cahul-Lebedenco-Pelinei-Gavanoasa-Vulcanesti (villages) - Alexandru Ioan Cuza main aqueduct and the local networks of the Lebedenco, Hutulu, Ursoaia, Pelinei, Satuc, Gavanoasa, Vladimirovca and Nicolaevca villages from Cahul district (Stage I, Phase II). The contractor has to execute works of 10 308 201,19 MDL for the construction of the local aqueduct networks in Lebedenco, Hutulu, Cahul district (Stage 1). Also, the consortium led by the "Polimer Gaz Conducte" LLC will build the local networks of 10,158,267.35 MDL in Ursoaia village. The economic operator who signed the contract was designated as the winner of the public tender no. 18/08 of October 25, 2018, organized for the construction of the Cahul - Lebedenco - Pelinei - Gavanoasa - Vulcanesti (villages) - Alexandru Ioan Cuza main pipeline and the local networks of the Lebedenco, Hutulu, Ursoaia, Pelinei, Satuc, Gavanoasa, Vladimirovca and Nicolaevca villages from Cahul district (Stage I, Phase II). Previously, on September 25, 2018, the RDA South and the Cahul District Council also signed a business contract of about 27 million MDL with "Polimer Gaz Conducte" LLC for the acquisition of the construction works of the Cahul-Lebedenco-Pelinei-Gavanoasa-Vulcanesti (villages)-Alexandru Ioan Cuza main pipeline and the local networks of the villages Lebedenco, Hutulu, Ursoaia, Pelinei, Satuc, Gavanoasa, Vladimirovca and Nicolaevca from Cahul district, at I-st Stage. The "Construction of the Cahul - Lebedenco - Pelinei-Gavanoasa-Vulcanesti(villages) - Alexandru Ioan Cuza main pipeline and the local networks of the Lebedenco, Hutulu, Ursoaia, Pelinei, Sătuc, Gavanoasa, Vladimirovca and Nicolaevca villages Stage I" investment measure is financed by Swiss Agency for Development and Cooperation (SDC) / 2.8 million EUR through GIZ within the "Modernisation of the local public services in the Republic of Moldova (MLPS)" project. After the implementation of the first phase of the project, about 11 km of the main aqueduct and about 25 km of local aqueduct networks for the localities of Lebedenco, Hutulu and Ursoaia will be built. 2665 citizens will benefit of access to drinking water. The mentioned project aims to contribute to the development of the water supply and sewerage sector and to continue the implementation of the Social and Economic Development Strategy of the Cahul district, water supply and sewerage component.